The man already convicted in state court of plowing a car into a group of people protesting a 2017 white nationalist rally in Charlottesville could plead guilty to federal charges in the case. The man already convicted of murder after plowing a car into a group of people protesting a 2017 white nationalist rally in Charlottesville, Virginia, could plead guilty to federal hate crimes Wednesday. A status hearing for James Alex Fields was changed late Tuesday to a change of plea hearing. 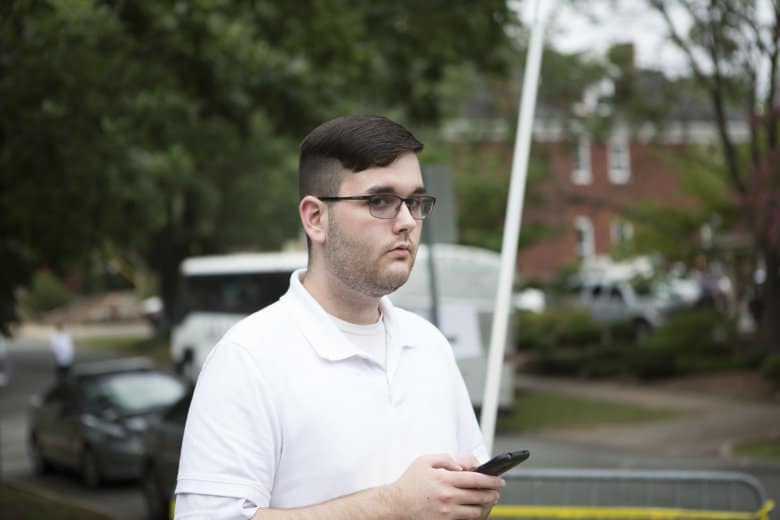 Court filings in the case had already indicated Fields would be brought from jail to the federal courthouse in Charlottesville for Wednesday afternoon’s hearing. Fields was convicted in state court in December of first degree murder and other charges related to the death of Heather Heyer and serious injuries caused to others along Charlottesville’s Downtown Mall. He was indicted last June on 30 separate federal hate crimes counts, which are the subject of Wednesday’s hearing. Fields entered a not guilty plea in July. The federal charges allow for a punishment as severe as the death penalty. It is not clear if any agreement has been reached to take that off the table. According to evidence presented in the state court trial, Fields had come to Charlottesville in August 2017 to support white nationalists rallying around Confederate monuments in the city. The Charlottesville Circuit Court jury that convicted him recommended he serve life in prison. Fields was originally due to be formally sentenced in state court this week, but court records show that hearing has now been postponed until July. Virginia judges typically follow jury recommendations for sentencing.